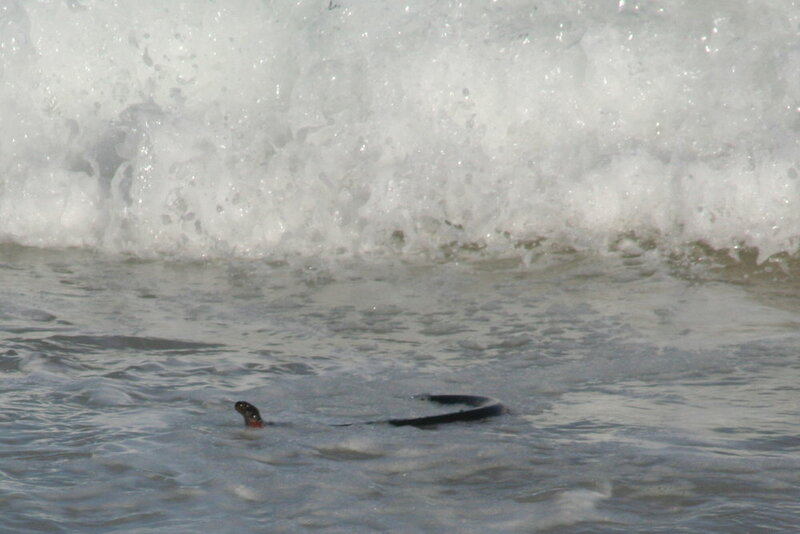 This Red Bellied Black snake was seen on Tura Beach heading into the ocean,when washed ashore in the surf it turned around & went back to the ocean. It appeared very docile when washed up but as the waves touched it again it headed back again towards the water. Any explanations on this behaviour would be welcomed.Thankyou to Norm Hamilton for the closeup photos in gallery.